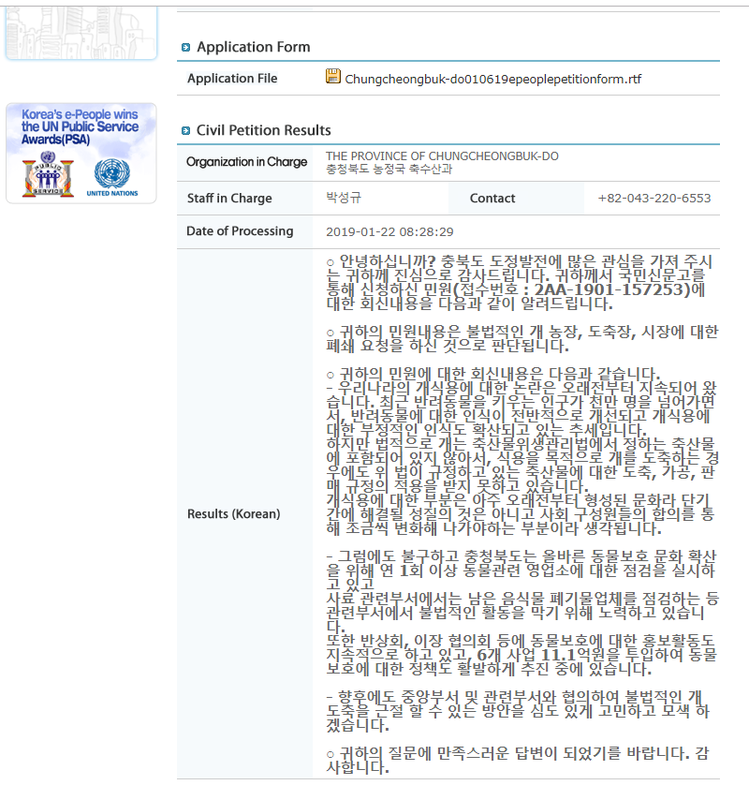 Below is Chungcheongbuk-do Province’s response to our petition: Chungcheongbuk-do Province, South Korea, Shut down the illegal dog meat farms, slaughterhouses and markets. 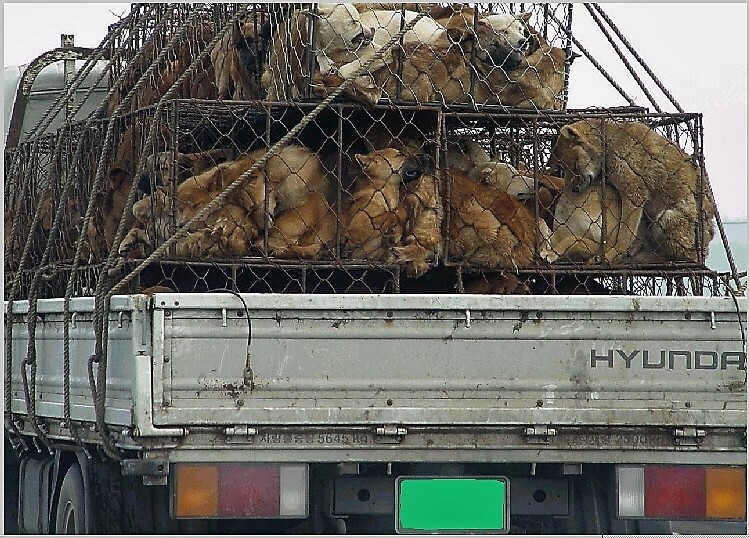 The controversy over utilizing dogs as food in Korea has been going on for a long period of time. As the number of companion animals exceeds 10 million in recent years, dogs have become part of the family with people, rather than just animals, and overall awareness of companion animals has improved and negative perceptions of dog meat consumption are spreading. However, dogs are not included in the livestock products prescribed by the Livestock Product Sanitary Control Act, so even if a dog is slaughtered for meat, it is not covered by the slaughter, processing and sales regulations for livestock products stipulated by the Act. Since the dog meat industry has already been around for a long time, it is not an issue that can be resolved within a short period of time. This will need to be changed little by little through the social consensus of our citizens. Nonetheless, Chungcheongbuk-do is conducting an inspection of animal-related businesses at least once a year to promote a proper animal protection culture, and related departments are working to prevent illegal activities – an example of this is that our animal feed department is inspecting food waste recycling companies. In addition, we are continuing to promote animal protection in the neighborhood and councils, and we are actively promoting policies on animal protection by investing 11.1 billion won (approximately $980K USD) in six projects. In the future, we will discuss with the central and other related departments in an effort to eradicate illegal dog slaughter. Please do what it takes to stop the cat and dog meat consumption. It’s also a change for the public on how to treat animals and also to be getting more sensitive to animals all together. Please stop eating cats and dogs. Please make the rules so people will know this is wrong. To Whom It May Concern: I so appreciate hearing your response to the non-response of the mayor of Chungcheongbuk-do Province. He sounds like every other politician who ever lived…making excuses and not addressing the real problems caused by the meat trade. Thanks for your ongoing help.